With our vast experience & knowledge in this field, we are engaged in providing a quality-assured range of Mens Full Sleeve Jacket. 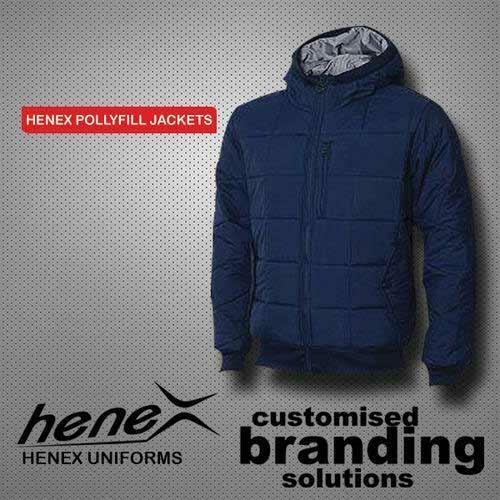 We are one of the notable organizations that fabricate an elite array of Designer Poly Fill Jackets. Our experts who have rich industry skill fabricate our presented array. The entire array is extremely praised by our customers owing to its features. In order to make sure the quality, the presented array is inspected on varied parameters before the final shipment at the clientele end. Features: Easy to wash Finely finished Attractive look. Established in the year 1992, at New Delhi, (Delhi, India), we “Vijay Sports”, are a Proprietorship Company, engaged in manufacturing and exporting premium quality School Uniform, Corporate Uniforms, etc. Under the direction of our mentor “Aruj Mehra (Owner)”, we have achieved a valuable place in this industry. We export our products to Qatar, U.S.A, Canada, Zambia, Dubai, South Africa, etc.